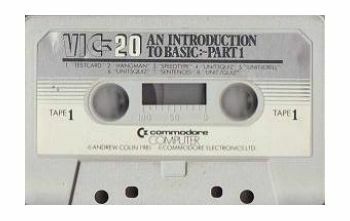 An Introduction to Basic part 1 Tape 1.Tape Only. 1, Testcard. 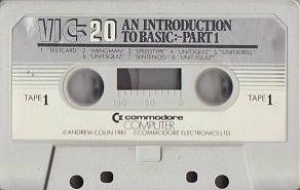 2, Hangman. 3, Speedtype. 4, Unit3quiz. 5, Unit4Drill. 6, Unit5Quiz. 7, Sentences. 8, Unit7quiz.